It’s one of Scotland’s most famous festivals. And now, the fourth member of one Shetland family is preparing to lead the islands’ Up Helly Aa fire festival. A matter of 40 years after his father held the position of the Guizer Jarl, the torch has now been passed to John Nicholson to head the procession of Vikings. This week, the self-employed painter from Lerwick will lead the march that will remarkably include three different generations of his family – including his dad Jim, who is now 85, and his 13-year-old son Bobby. Up Helly AA Guizer Jarl – John Nicolson, pictured outside The Shetland Hotel. Yesterday, Mr Nicholson, 48, admitted that his most vivid memories of watching his father lead the ceremonies as an eight-year-old were restricted to the lunch and dinner on the big day. However, the father-of-two’s passion for the event grew over time before he joined the organising committee 13 years ago and supported his older brothers Graham and David, who led the 2007 and 2012 events. Last night, Mr Nicholson was at the forefront of the final rehearsals ahead of tomorrow’s event, which he started drawing up ideas for in February 2016. He said: “I can’t properly remember my dad doing it. I was in my 30s when my brothers did it so I was a lot more involved in the setting up. “I hadn’t planned on doing it when I was young, I had other things I was doing like playing football and working. I didn’t really look into it until I was in my 20s. “But then, I got involved with working with the torches in the Galley Shed and it all picked up momentum from there. I was lucky enough to join the committee in 2005. 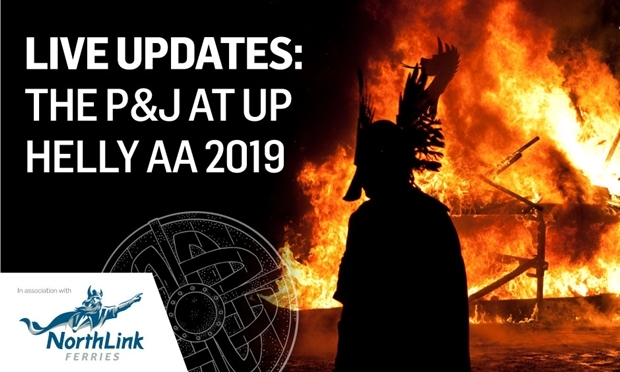 Proper planning for this week’s celebrations, which include crafting the Viking costumes as well as the shields and axes, have been underway for more than a year. Today, the finishing touches will be made to the huge Galley boat that will be set alight tomorrow as the culmination of the festival following a parade through the streets. 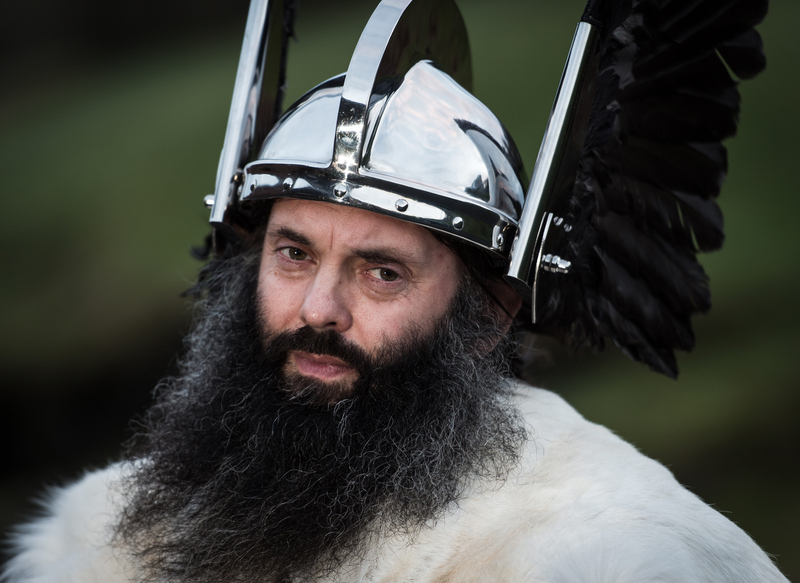 Up Helly Aa originated in the 1880s as a festival to mark the passing of the depth of winter and now regularly attracts visitors from all over the world.